Calorie count doesn't mean everything. These foods might cost you a chunk of your daily calories, but their nutritional value is well worth it. "Nuts have gotten a bad reputation for their total fat content, "says Erin Palinski-Wade, R.D., author of Belly Fat for Dummies. But science has shown that it's actually the quality of fat that counts, over quantity. 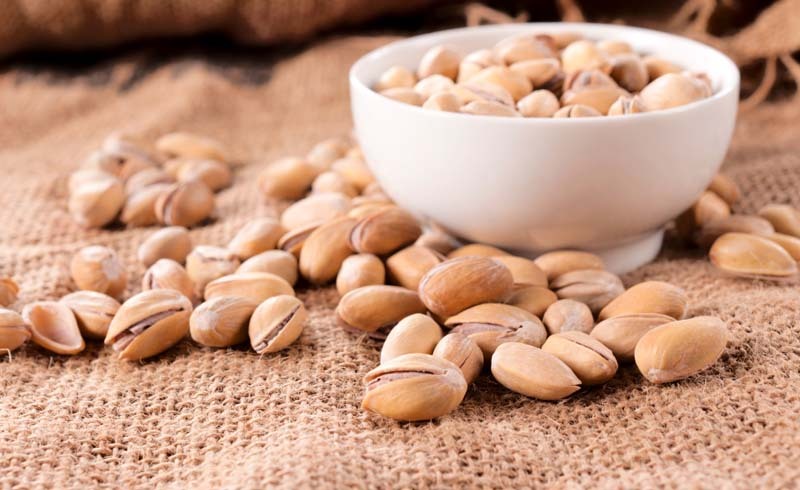 Nearly 90 percent of the fats in pistachios come from unsaturated fats, making them one of the lowest-calorie and lowest-fat nuts to snack on, she says. "As a good source of both protein and fiber, pistachios can help you feel full and satisfied throughout the day." Plus, research has suggested that a 1.5-ounce serving of nuts per day, along with a diet low in saturated fat and cholesterol, may reduce the risk of heart disease, says Palinski-Wade. Some people give dried fruit the side eye for fear it's filled with calories and sugar. But Palinski-Wade says raisins are a smart snack choice—they're all-natural and contain no added sugars. "New research has found that raisins may be an excellent snack for everyone, including those with type 2 diabetes (a group that typically thinks they need to avoid dried fruit). Regular consumption of raisins over a variety of snack crackers showed a positive impact on both post-meal glucose levels and systolic blood pressure," says Palinski-Wade. Just make sure to stick to the right serving size. About 2 tablespoons will do it. Coconut flour does have a higher calorie count than other flours. (Palinski-Wade says that a quarter cup contains around 120 calories.) 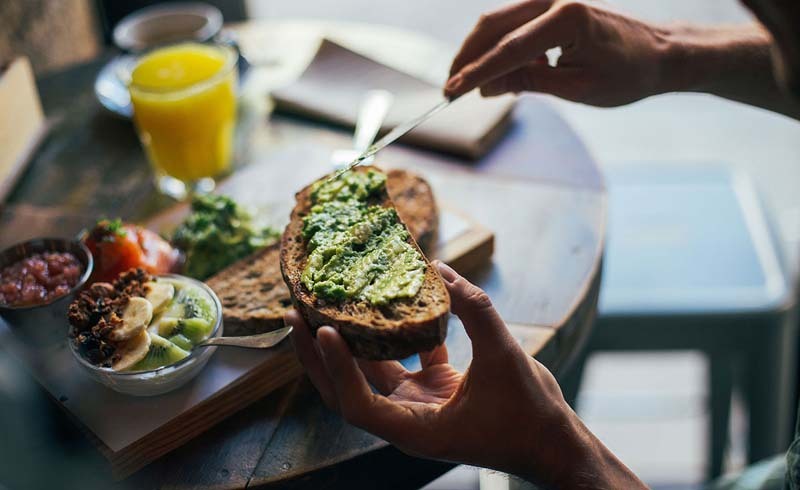 But that same serving also has 4 grams of protein and 10 grams of fiber, which means it's less likely to elevate blood sugar levels like all-purpose flour often does. All that protein, fiber, and fat will also help you fill up, meaning it might actually be possible to stop at one (OK, two) the next time you bake a batch of gluten-free cookies. Consider this the queen of healthy, high-calorie foods. "Olive oil is packed with heart-healthy monounsaturated fats and provides a source of antioxidants," says Palinski-Wade. Plus, "the addition of fat from olive oil in a meal can also help to aid in the absorption of certain nutrients, such as vitamins A and D." Just make sure to have a light hand when you drizzle—a tablespoon is about the recommended portion. Sweet tooths, rejoice. "Dark chocolate (at least 70 percent cacoa) is 160 calories per ounce, but packed with flavonoids that may boost your health," says Palinski-Wade. Research suggests that some of those perks point to lower blood pressure levels and improved cholesterol. So enjoy, but in moderation—no more than an ounce per day, she says.